In Iceland the Eurasian and North American tectonic plates diverge, resulting in extensive volcanic and geothermal activity. For volcanologists and seismologists Iceland is the world’s volcanic laboratory, where they try out new, data-intensive monitoring and early warning technologies, to help save lives and livelihoods, not only on that stony island in the North Atlantic, but in other parts of the world threatened by volcanic eruptions. Satellites provide high-resolution images of the surface of the Earth. Two Sentinel-1 satellites at 700 km altitude provide several million pixel images with ground resolution of 5×20 m, viewing every location in Iceland every 6 days. 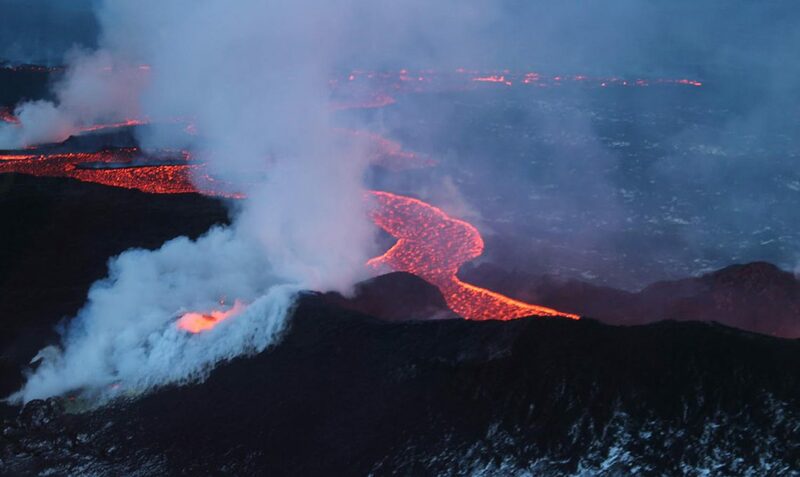 These satellites produce what is called Synthetic Aperture Radar Images that are analysed and compared by the Crustal Deformation Group at the Nordic Volcanological Center at Institute of Earth Sciences, University of Iceland, says research professor Freysteinn Sigmundsson. “We want to study volcano anatomy, and you can compare magma to the blood in a human body. By analysing images from Sentinel-1 and other satellites we can monitor changes on the surface of volcanoes. When magma flows into a volcano prior to an eruption, the ground can lift, like an expanding balloon. 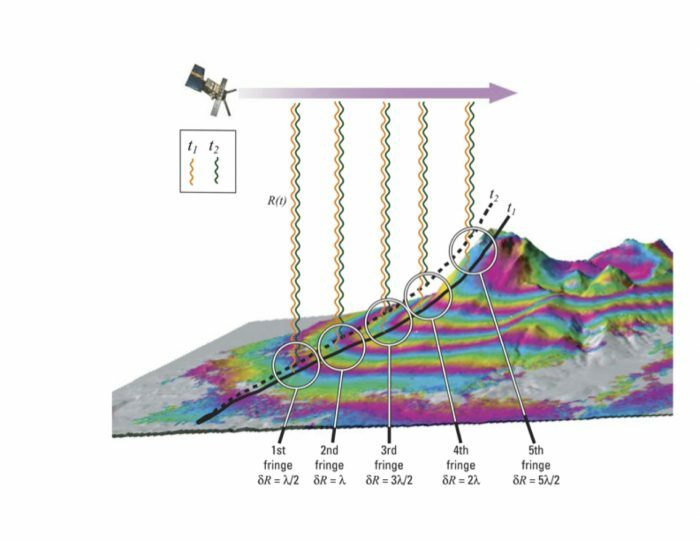 That means we can measure sub-surface magma movements by satellite. The more accurately you can measure this inflation, the better you can see what is going on inside the volcano and predict what will happen,” he says. By using satellite data Freysteinn Sigmundsson and his colleagues can see how the earth is moving, with accuracy as good as 5-10 mm. The Icelandic Crustal Deformation research team has contributed to advancing these monitoring and measurement techniques, and the team has collected thousands of images taken over the last 25 years. The images go from the satellites to space agencies in Europe and are transmitted to Iceland over research & education networks. According to Freysteinn Sigmundsson, it is one of the most extensive data transfers in the geoscience area in Iceland. Freysteinn Sigmundsson describes Iceland as the world’s volcanic laboratory, not only because of its unique geological setting but also because of its highly developed local volcano monitoring infrastructure led by the Icelandic Meteorological Office. Synthetic aperture radar imaging is only one of a range of monitoring and measurement techniques. GPS-technology is also used, providing very precise positioning with an accuracy down to 4 to 6 mm. Seismometers on the ground detect the beginnings of earthquakes and measuring stations detect the release of volcanic gases. Also, there are specialized sensors that can detect the pressure waves that go up into the atmosphere at the onset of eruptions. Collaboration is essential in volcano monitoring, and Freysteinn Sigmundsson has played the role of coordinator in the FutureVolc project, that has brought together different players in volcanology. Together with collaborators, Freysteinn Sigmundsson is now involved in a successor to the FutureVolc project, named EuroVolc, that aims to take cross-disciplinary cooperation even further, to improve volcano monitoring, early warning, data sharing and eruption response on a global level.